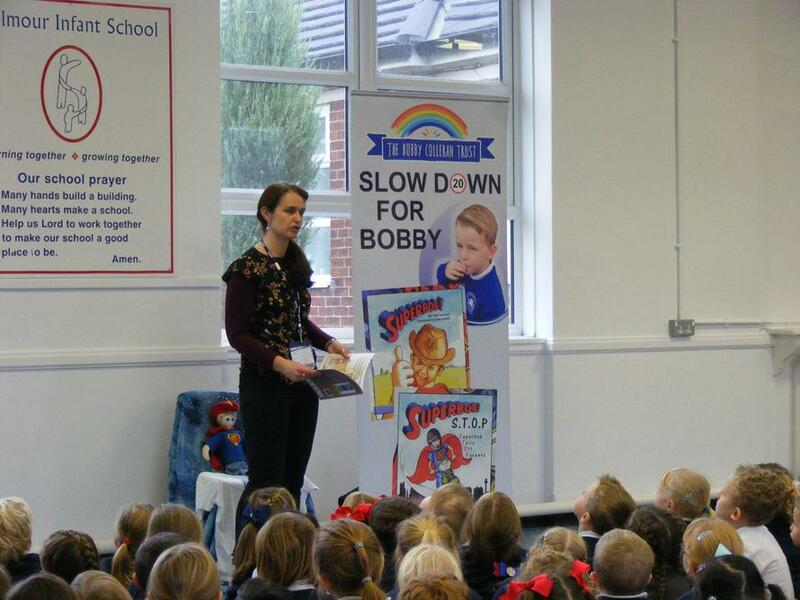 On Thursday the children had an assembly led by the Slow Down For Bobby campaign. 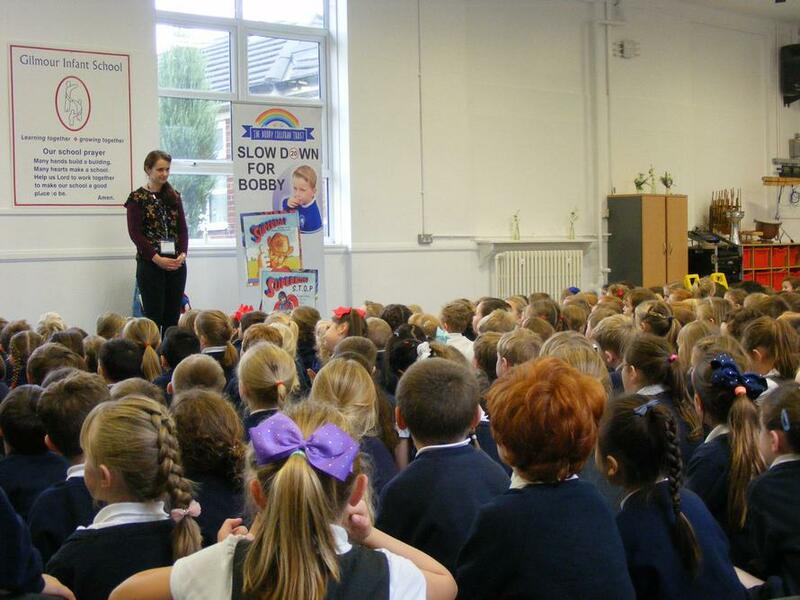 The key message the children took home included "We must stay safe on the road". 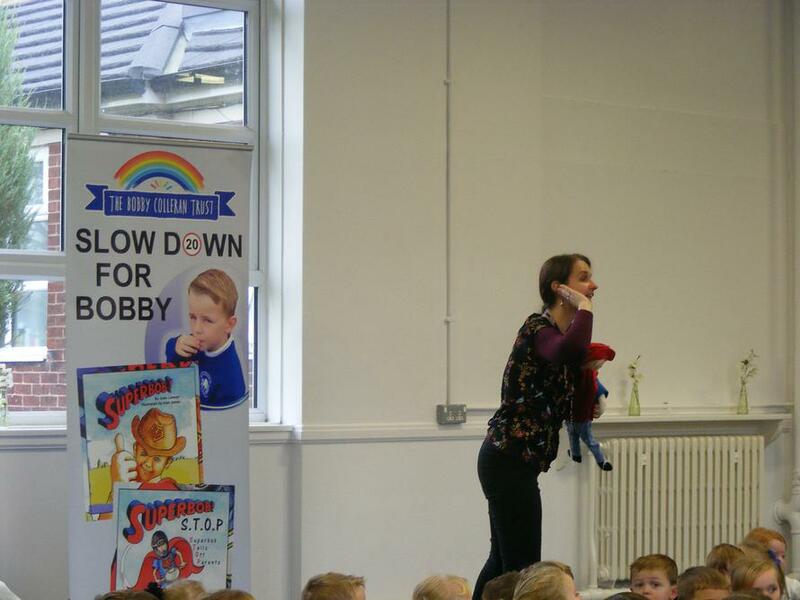 There was a story all about Super Bob and his mission to keep children and parents safe by not parking on zig zag lines and on the pavement. 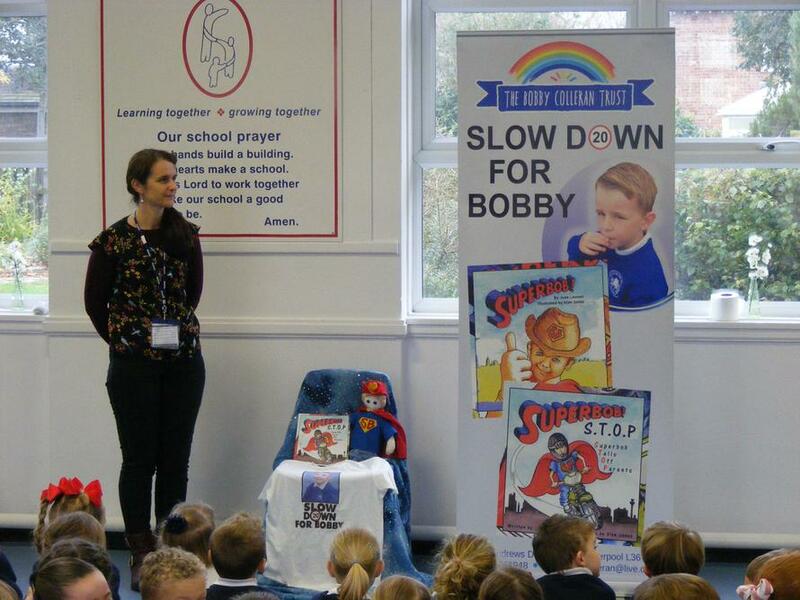 Thank you to the Slow Down for Bobby campaign for sharing the story and messages!